Winner of the Inaugral Roald Dahl Funny Prize 2009. Winner of the Blue Peter Award 2009 for Most Fun Story with Pictures. This is Book 5 in the Mr Gum series and it will take you around the world in a rather unusual way. One of the Children’s Laureates’ favourite books of all time. 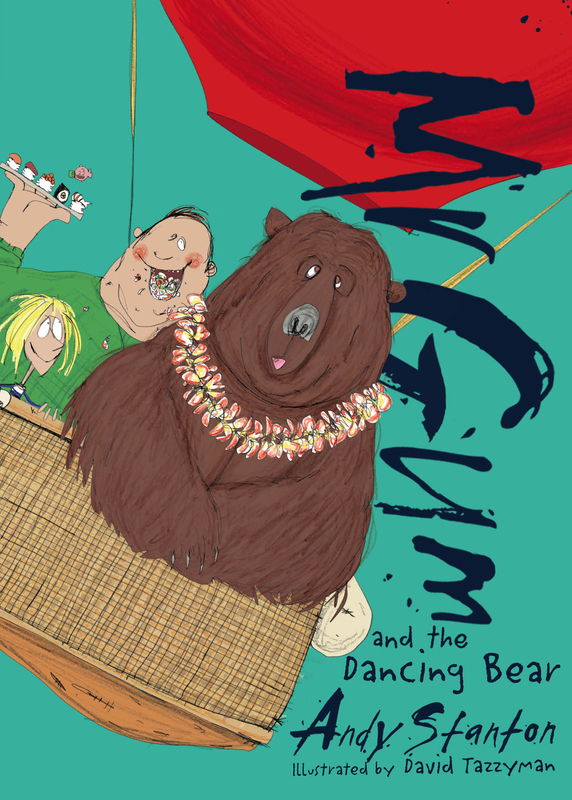 Find Mr Gum and the Dancing Bear at Amazon. Who likes bears? Everyone likes bears. I likes bears, you likes bears, this guy I know called Will Bulman likes bears. Everyone likes bears. They are truly the king of the jungle. They are nature’s way of saying, ‘here’s what bears look like.’ They are the best. They are the bears. And guess what, bear-likers? You’re in luck, because this story is all about a bear. Not just any bear, mind you, but a startlingly big and handsome specimen who came strolling into the little town of Lamonic Bibber one fine autumn morning. He was a proper fat shaggy rumble-me-tumble sort of a roly-poly flip-flap-flopper of a big brown bear, not like some of these cheap bears you see nowadays who have hardly got any legs and need batteries.